Limp Bizkit – Gold cobra lyrics added! 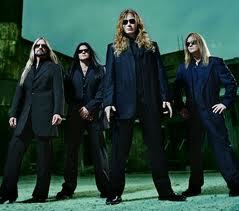 When Megadeth broke up in 2002, it marked the end of an era. Founded in 1983 by bassist Dave Ellefson and frontman Dave Mustaine, after the latter’s expulsion from Metallica, the group pioneered the thrash metal genre. Mustaine would later restart Megadeth, but without his old partner, Ellefson—until last year, when the 46-year-old bassist rejoined the band to celebrate the 20th anniversary of the Rust in Peace album. The Black Dahlia Murder – Ritual lyrics added! 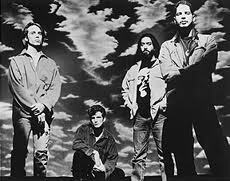 Soundgarden are getting set for their month-long North American summer tour, which kicks off July 2 in Toronto. 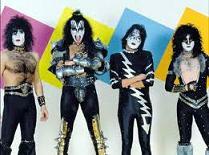 The live dates give the band a break from the studio, as the reunited unit continues work on new music. “Well, our interest is in being a vital band,” guitarist Kim Thayil tells Stereogum. Morbid Angel – Illud divinum insanus lyrics added! Down guitarist Kirk Windstein says the band will change the format of their touring cycles to match the new format for releases as they aim to put out four six-track EPs nine months apart. They begin recording on September 1 and aim for the first short-form disc to appear at the beginning of 2012, with the second due in the autumn.